There are so many things to think about when you are planning your next move but the good news is, there is no need to rush. If you prepare in advance, you can search for reliable and cheap moving companies that will help you with your moving and packing needs. While packing your stuff is no fun, you can make the process less tiring with these simple packing tips. Searching for the best cheap movers is already a tedious job. This is why if you still have a lot of time on your hands, you are tempted to put it off. Procrastination will only add stress to your moving job. As your moving day draws near, the number of boxes you have to tackle each day becomes burdensome. Prepare everything while you still have the luxury of time. This way, you will have enough time to do your research and choose the moving company that suits your needs. Making a mental note is not a good idea when moving house. Although you may already be familiar with your items at home, there is still a big possibility that you will forget some of them. Moving companies create an inventory of your items. If they lose one of your most cherished possessions, it will be difficult for you to make a claim if you have not come up with a complete list. Inventory is crucial. Make sure it is part of your to-do list. There are items that you no longer want to keep. If you do not classify your items, movers will be under the impression that you want all of your stuff packed. It is challenging to classify your belongings, but it is even more difficult to unload things you no longer need. The last thing you want to happen to you is to find yourself stuck in a pile of unlabeled boxes, not knowing what goes where. It can definitely drive you crazy. What if you have boxes of fragile items? Aside from putting the items inside the box, you will need to indicate which room the box must be placed into. Moving can be nightmarish if you take care of the job yourself. Hiring moving companies will ensure that you have everything you need to make the entire process as smooth as possible. 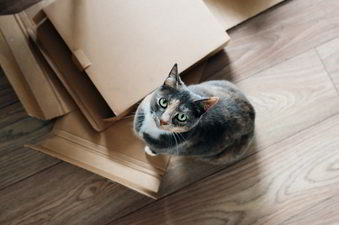 It might be tempting to use your old boxes, but they cannot protect your belongings. Choose high-quality cardboard boxes from the best cheap movers. Contact Moves Transport for your moving and packing needs. Call 1300 133 626 now!